Come for the divine power, stay for the financial component. 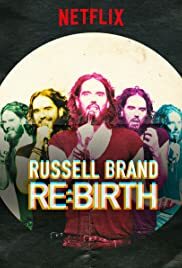 Russell Brand’s Re:Birth now streaming, only on Netflix. Russell Brand is an English comedian, actor, radio host, author, and activist. His new book “Recovery: Freedom From Our Addictions” is available now, and his podcast called “Under The Skin” is available on iTunes.